Bucharest, my hometown and capital of Romania, has a lot to offer to any visitor. I see many people coming here for the first time, as leisure or business travelers, and love it. 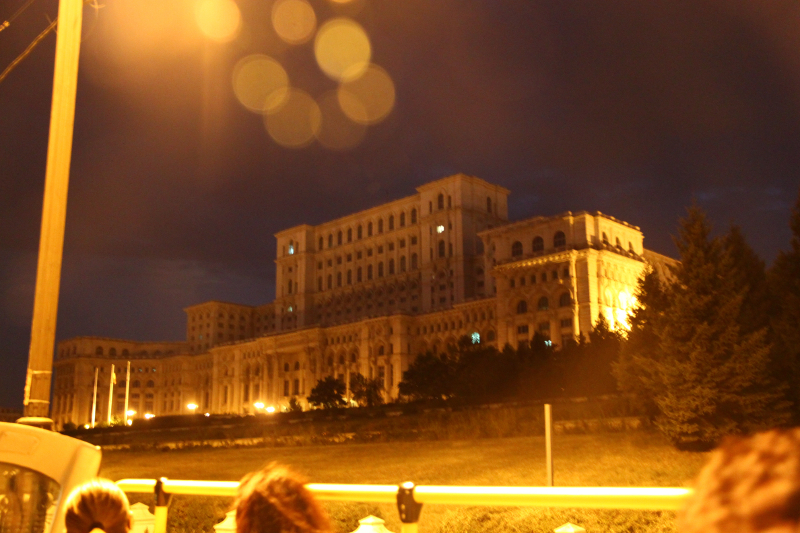 Romania surprises in a very nice way, and Bucharest is a true Eastern European gem. Today I’m presenting you a budget travel guide for the city that includes the best free things to do in Bucharest. Believe me, this is a selection of the top free activities in Bucharest, as the city is really budget friendly. These activities are available all year round, so they do not depend on a season or another. How great is that? But enough said, let’s get down to business and see the best free things to do in Bucharest. You may like this building or not, depending on your preferences, but you simply have to see it when in Bucharest. Given the fact that it is within walking distance from the Unirii Square (Union Square) (or Izvor Park, for instance), you can’t miss it. The Palace of the Parliament, also known as People’s House after the 1989 Revolution, is the second largest building in the world after the Pentagon, and the biggest civilian building in the world. It was built during Ceausescu’s regime, and you’ll see the soviet influence. If you have some money, you can book in advance a tour for its interior (you must schedule it!). Bucharest might not be the greenest city in Europe, but it has some pretty wonderful – and huge – parks. 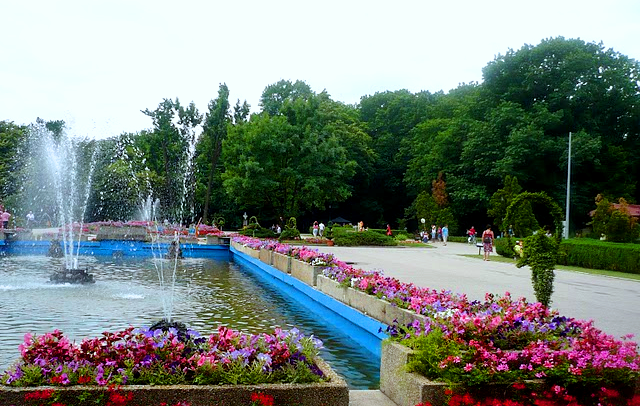 I have two favorites, I’ll give you that: the Cismigiu Gardens, the oldest gardens in the city, often referred to as park, and Herastrau Park – the biggest one in Bucharest. These simply must be included on the best free things to do in Bucharest list. They have lakes, numerous playgrounds for children (free), walking trails, and more. If you go sightseeing in Bucharest, you might find yourself near other amazing parks such as Carol Park (with the famous Mausoleum), Tineretului (Youth) Park, Tei (Liden Tree) Park, or Alexandru Ioan Cuza Park. They are set in different areas of the city, so you’ll find one next to the place you are staying in. Bucharest has numerous churches that are true gems on the outside and on the inside. 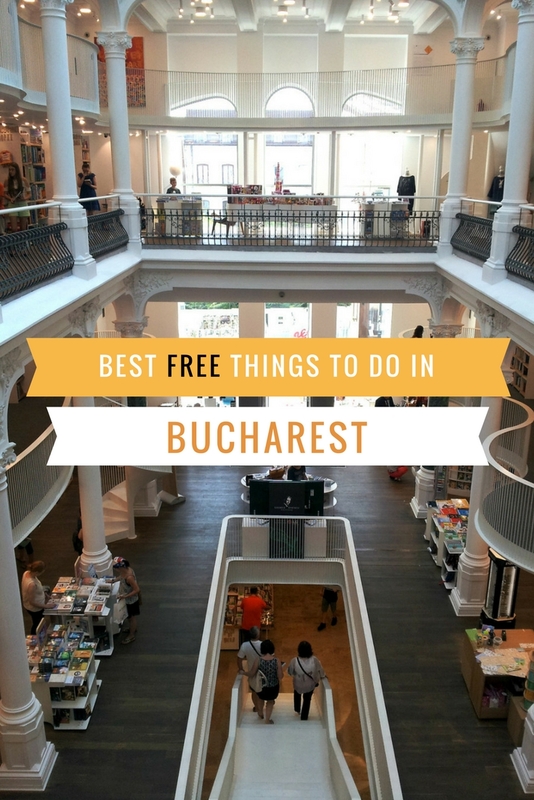 No list of the best free things to do in Bucharest would be complete without recommending them, as the entrance is free! While most of the churches are orthodox (the main religion in the country), their design varies. Some have Greek inspiration, other Russian, some mix Roman style with Brancovenesc style, and so on and so forth. From the Stavropoleos Church in the old city’s centre to the Russian Church near Piata Universitatii, from the Kretzulescu’s Church to the Romanian Patriarchal Cathedral, you’ll have what to see for free in Bucharest. This is the first road in Bucharest and you can still admire wonderful houses on it. 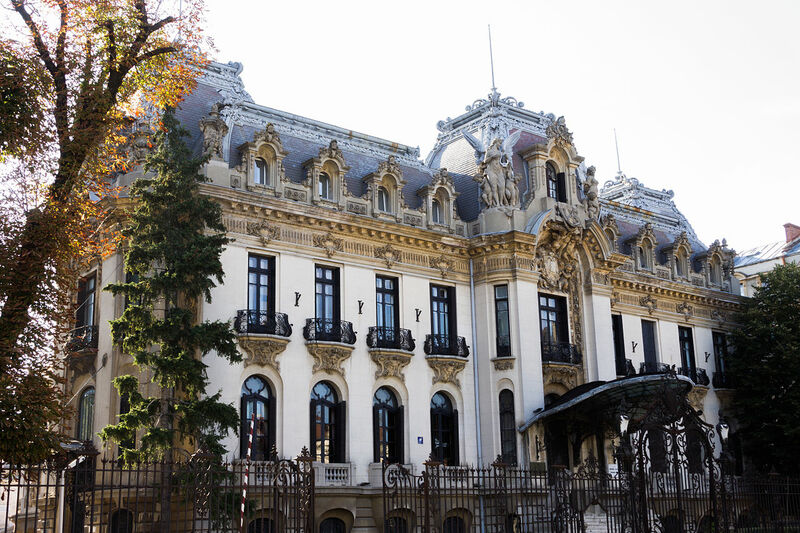 Some of them are now museums – like George Enescu’s house which is now George Enescu Museum – while others are company headquarters or shops. There is even a casino – a beautiful building on the outside – and there are also nice churches on the road. Hotels, museums, churches, amazing houses and buildings – who can ask for more for a street that’s centrally located, right? You will also find some nice passages that link the Victoriei Avenue to parallel streets. So yes, in my opinion, talking a long walk on the Victoriei Avenue is definitely one of the best free things to do in Bucharest. You’ll even find many instagrammable spots along the way! It used to be an area with houses owned by small entrepreneurs: people who made glass objects, clothes, jewelry, leather objects, shoes, and more. Nowadays, only a few of those shops are still open, but the houses are still there, so you’ll be able to admire the architecture. Many of them are now restaurants or coffee houses. Opened just a few years ago on one of the most famous streets in the Old Town in Bucharest, The Carturesti Caroussel Bookshop is truly amazing. You simply have to visit it, even if you won’t buy something (though it will be hard to resist the urge). 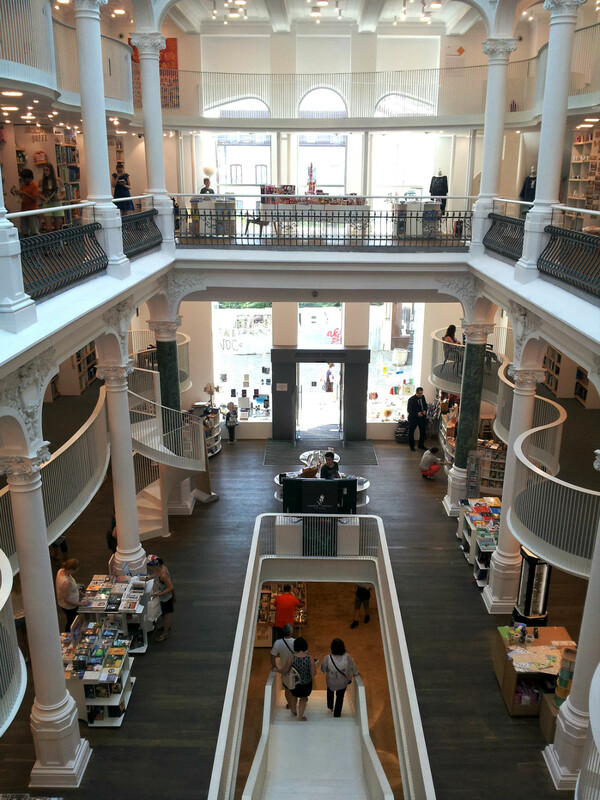 The interior is truly amazing, white, spacious, impressive, and a great instagrammable spot, that is why I consider this bookshop to be one of the best free things to do in Bucharest. Near Carol Park you’ll discover two interesting attractions, that can easily be included on the best free things to do in Bucharest list. 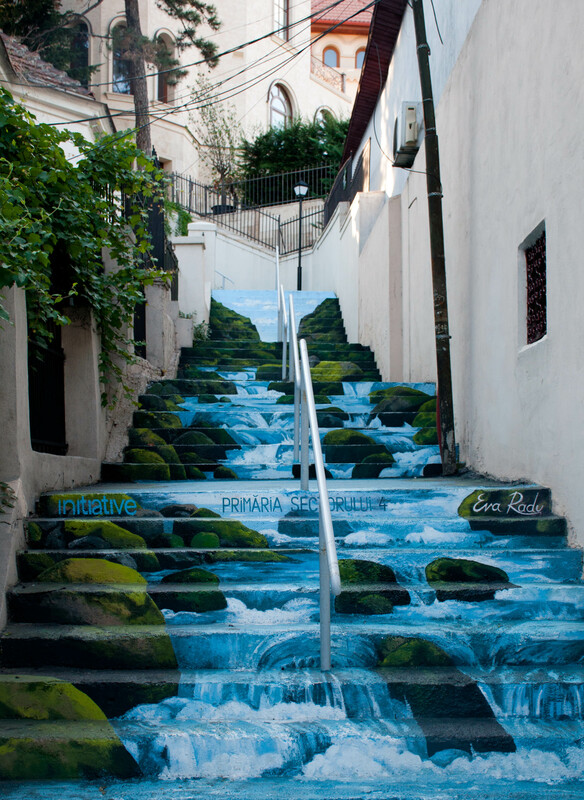 One is the Xenofon Street, the only street in stairs left in Bucharest. At its end you’ll be staying on the tallest natural spot in the city (there’s a hotel there now). 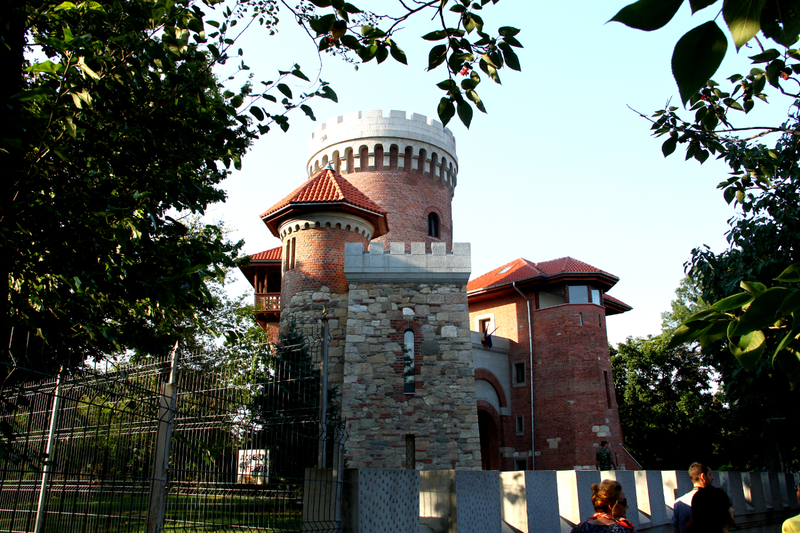 On another side, you’ll see the Vlad Tepes (Vlad the Impaler) Castle in Bucharest! While now it is a military building, you can take photos of its exterior (and it is definitely worth it! Ok, these don’t happen everyday, but, regardless of the season you are visiting Bucharest in, you’ll find some wonderful – and free – fairs or events to check out in Bucharest. From concerts in parks or in famous central squares to seeing movies for free (this is during the summer weekends in Herastrau Park) to going on an ice rink at the Christmas fair in the winter, you’ll find something fun to do in the city. As I can’t list all the events and their dates, my tip is to do a bit of online research before booking your trip – or prior to your arriving in Bucharest and see what events come up and which of them are free. If you are an architecture lover, or if you will just like to see Bucharest from a different perspective, then it’s just enough to take long walks – in parks, in the city center, etc. – and you’ll have what to see. 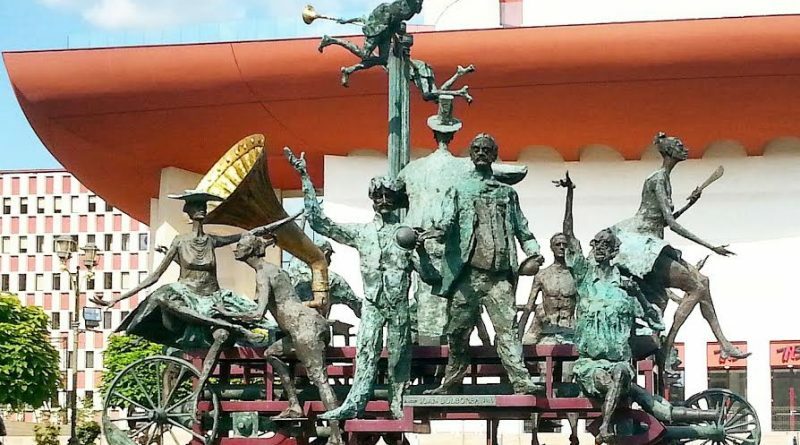 These are some of the best free things to do in Bucharest, and there are many wonderful statues and monuments. You’ll see a wonderful group in front of the National Theater in Bucharest, you’ll see universities, the Coltea Hospital and Coltea Church, the Bucharest Museum – and this is just for the Universitatii (University) Square. You’ll also be able to see the lovely Arch de Triomphe (yes, like the one in Paris – let’s not forget that Bucharest is called The Little Paris), and many interesting statues and monuments in all of the parks (including one dedicated to Michael Jackson on an alley with the same name in Herastrau Park). Now this sounds like a not-to-miss opportunity, right? Or too good to be true? 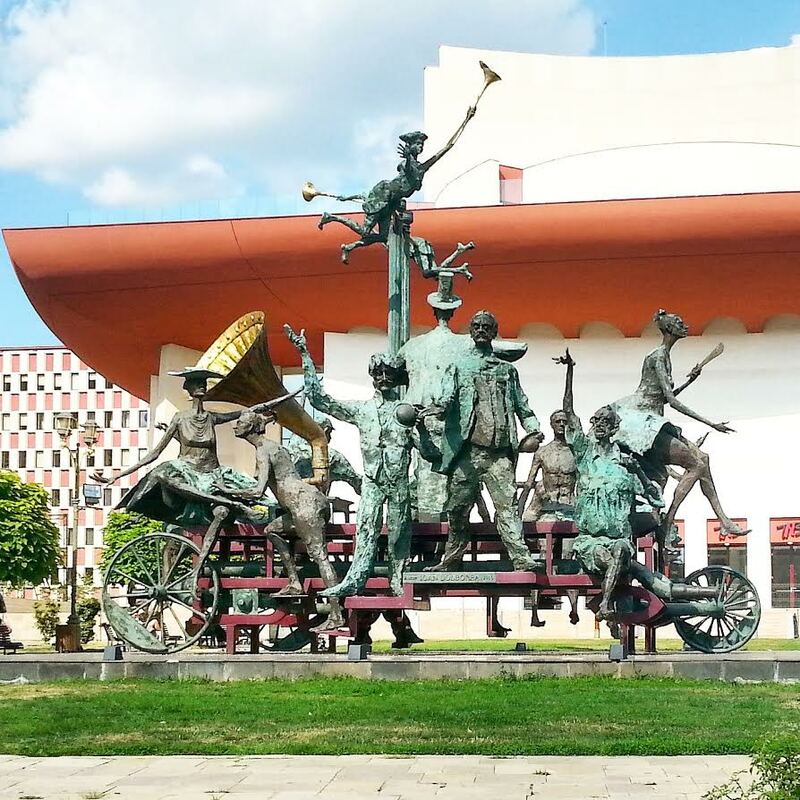 Let me tell you that it is possible to see some of the greatest museums in Bucharest for free. Most of them have either open doors events (like the National Military Museum), or they offer free access on a given date (some on the 26th of a month) or on a given day (some on the first Wednesday of each month). 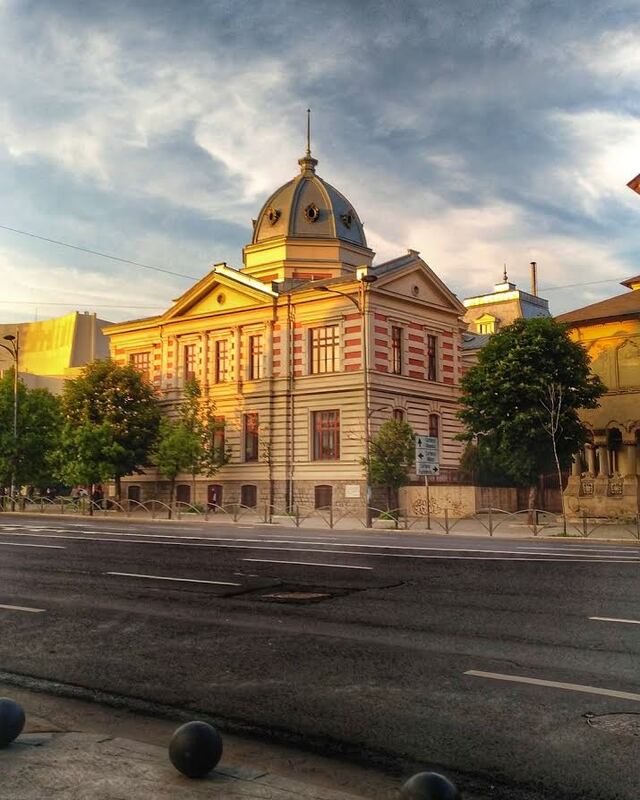 In order to benefit from this opportunity, make sure to check the official websites of those museums in Bucharest that you want to visit and see if they have such a special offer. As you can see, there are plenty of free activities in Bucharest. This Budget travel guide to Bucharest is your ultimate guide to Bucharest and its free things to see and do. I wanted to point out just how many options you have, all wonderful, all safe for you. 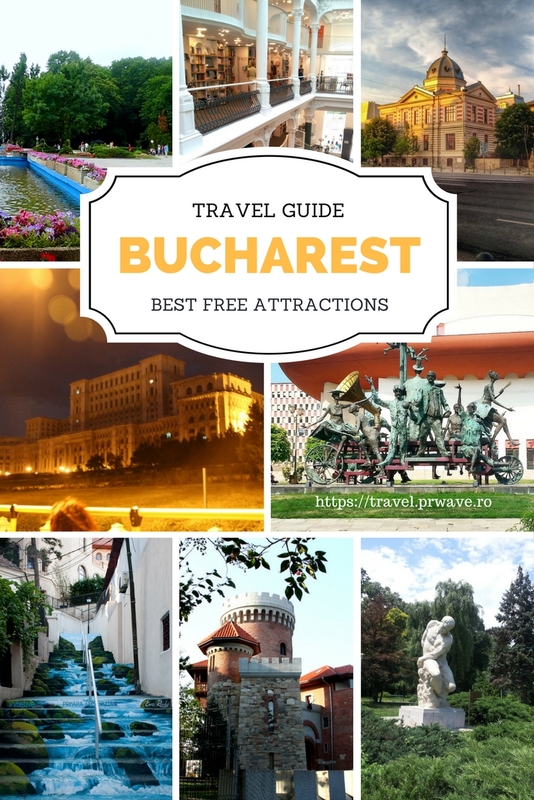 So use this best free things to do in Bucharest list for your next trip to Romania’s capital and make the most of your stay here! Free = ALWAYS a good time!!! I’ve never been to Bucharest but I should put it on the map! It came at the right time! I’m heading there in a month. This will definitely come handy. I lived in Bucharest for many years before moving to the UK and indeed the town has some really beautiful parks and interesting buildings to see. I think the Cec building is one of the most beautiful ones on Calea Victoriei. I’ve never been to Bucharest. If my husband and I are ever lucky enough to be able to .. I’m sure we’ll be visiting museums (for him) and fairs (for her). Also, as a food blogger, I’d have to check out local restaurants. One never knows where inspiration will come from! I never knew there’s so much to do in Bucharest! That book shop looks amazing, and I love visiting the churches for their architecture in every city I visit! Can’t wait to visit Bucharest sometime soon. Thanks for your recommendations. You can’t beat free things to do! I love just wandering around cities like this. But I’d definitely have to swing by and check out that staircase. It looks beautiful! I’ve never been to Bucharest. I love travelling and i would love to visit here one day. Thanks for your recommendations. Your photos are gorgeous. I would love to travel to new places once my kids get older. Bucharest looks amazing! This looks like an awesome location! AND you know this looks really cheap to do too! This sounds like an awesome trip! The park/gardens look beautiful. I would definitely go to the bookshop! What lovely photos! I’ve never thought about traveling to Romania. I know nothing about it except Nadia Comaneci! This blog post makes me want to find out more! My eyes have been opened to a whole new travel possibility. I have heard about Romania but I’ve never researched in depth about the country, its capital or even the culture. Your piece has shown me that I should have really done some research to see what it has to offer. The places look so beautiful and rich with history. I would love to spend even a day there to soak up what it has to offer. 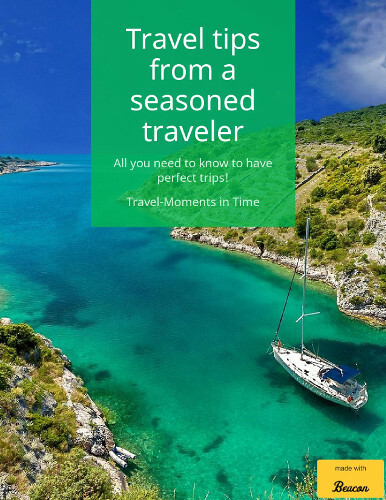 This is such a good tip for travelers! I’ve never been to Bucharest but heard many great things about this place. Great description and pictures! Bucharest is a must visit! I love to travel as if I was a local. I like doing things that are free and I can enjoy. A lot of these things are great. your photos are gorgeous – I love that staircase!! hello!,I love your writing very much! proportion we communicate more about your post on AOL? So great to discover another person with some original thoughts on this subject. When I originally commented I clicked the -Notify me when new comments are added- checkbox and now every time a comment is added I get four emails with the same comment. Is there any means you possibly can remove me from that service? Thanks! This is the appropriate weblog for anyone who desires to search out out about this topic. You understand a lot its nearly hard to argue with you (not that I really would want…HaHa). You definitely put a new spin on a topic thats been written about for years. Nice stuff, simply great! Can I just say what a relief to search out somebody who actually is aware of what theyre talking about on the internet. You definitely know learn how to bring an issue to gentle and make it important. Extra individuals have to learn this and understand this side of the story. I cant believe youre not more well-liked since you positively have the gift. Spot on with this write-up, I really assume this website wants rather more consideration. I’ll most likely be once more to read way more, thanks for that info. The following time I learn a weblog, I hope that it doesnt disappoint me as much as this one. I imply, I do know it was my choice to learn, but I truly thought youd have one thing fascinating to say. All I hear is a bunch of whining about one thing that you could possibly fix when you werent too busy searching for attention. Spot on with this write-up, I truly assume this web site wants far more consideration. I’ll most likely be once more to learn much more, thanks for that info. Youre so cool! I dont suppose Ive learn anything like this before. So good to search out somebody with some unique thoughts on this subject. realy thank you for beginning this up. this website is something that’s wanted on the internet, someone with a bit originality. useful job for bringing something new to the internet! Nice post. I learn something more difficult on totally different blogs everyday. It’s going to all the time be stimulating to read content from different writers and apply slightly something from their store. I’d want to make use of some with the content material on my weblog whether you don’t mind. Natually I’ll offer you a hyperlink on your internet blog. Thanks for sharing. I used to be very happy to find this net-site.I wished to thanks on your time for this excellent read!! I definitely enjoying each little bit of it and I have you bookmarked to check out new stuff you weblog post. It is best to take part in a contest for among the best blogs on the web. I’ll recommend this web site! Love to read things from a local perspective. I’ve always wanted to visit, but never had the chance yet. Anyway, am bookmarking this for when I do visit!